NATco’s Apparel Branding Solutions™ supply some of the largest brands in the world with all the products that distinguish them from the rest. From the label to the bar code; from the box to the custom piping. NATco’s global reach in terms of production and customer service ensure consistency throughout its plants. Specific emphasis on QC procedures and testing make NATco a perfect match for multinational garment manufacturers and retailers. NATco takes branding one step further by providing design services through CORE / NATco Creative Services. NATco brings over 50 years of expertise in branding, design and manufacturing. The advantage to the client is that packages are created in the most efficient ways possible. 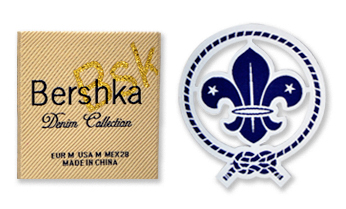 Woven Labels are one of the most widely used identification product in apparel, combining an excellent source of luxury and durability. 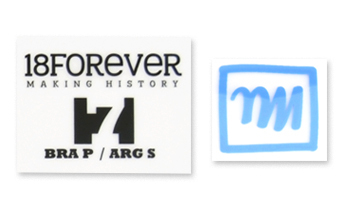 They are a lifetime guarantee of the item’s brand identity. 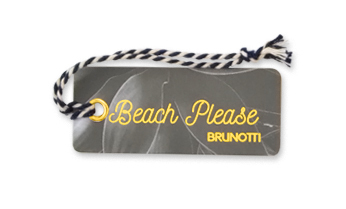 A woven label has a wide array of options, ranging from textile construction, edges, and finishing. 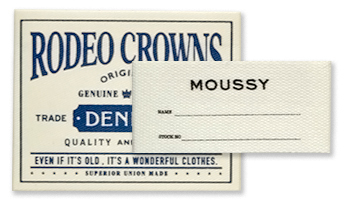 Printed Labels are a solid option for brand identification. With an extensive variety of substrates to print on, this category is gaining more and more relevance in the industry. It can be used as a trademark or as a simple one color care label. It’s ideal to accommodate legally required complex global compliance labels. Heat Seal Labels, also known as Heat Transfer Labels, provides the industry with an expansive practical imagery that can be applied to any garment using specific hot iron devices. The temperature and pressure used to apply varies depending on the fabric. 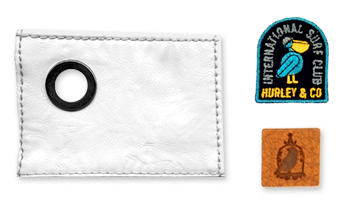 Patches are usually placed on denim garments to showcase the brand name; typically on the waistband of jeans, but are also suitable for other garments, including sweaters, jackets and surf wear. They are an exceptional brand identification element for backpacks as well. High-end garments usually require premium leather patches, while high volume brands call for more accessible and innovative alternatives, such as the popular Jakron® (washable), or synthetic materials, such as: imitation leather, cotton canvas, etc. 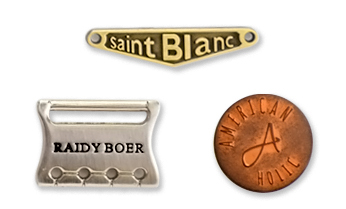 Over 100 different metal finishes are available for shanks, rivets, charms, zipper pulls, and any other metal product, and sizes ranging from 12L to 42L. All our hardware products will offer the advantages to make it the right choice for your fastener needs. NATco has the strength behind the image to support client’s requirements with quality products and fashionable designs. Image plays a pivotal role in a successful brand’s ability to maintain a stylish and distinguish look. Sophisticated graphic tags, high quality joker tags, and stickers are the most accessible ways to flaunt such perception. 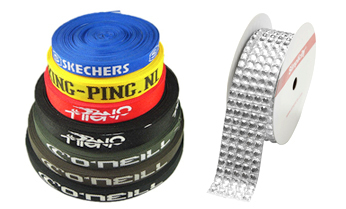 Trims and embellishments items are a magnificent method to increase the product value. Simple details can make a great difference. NATco designs and produces a wide array of heat-applicable transfers. 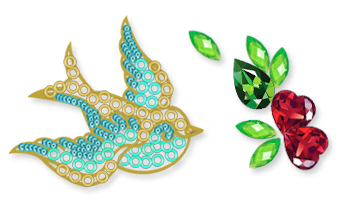 These include rhinestones, rhinestuds, nailheads, half-dome studs, foils and flocking. All materials are available in wide variety of colors and sizes. Components comply with American CPSIA and European product safety requirements.